As the Easter holidays have gone by, I've seen photo after photo of my fellow Gibraltarian's spending some time in the sunshine enjoying Torta De Acergas and drinking sun colas. Unfortunately it's been the second year in a row I haven't been home for the 3 week break and I find myself missing home a bit. We are still a relatively unknown country yet find ourselves in the constant spotlight over who we are, who owns us and why we are important, and this post is about to clarify that. 1. We have very unique names - google most of us and you're bound to find no one else on the first results page. 2. 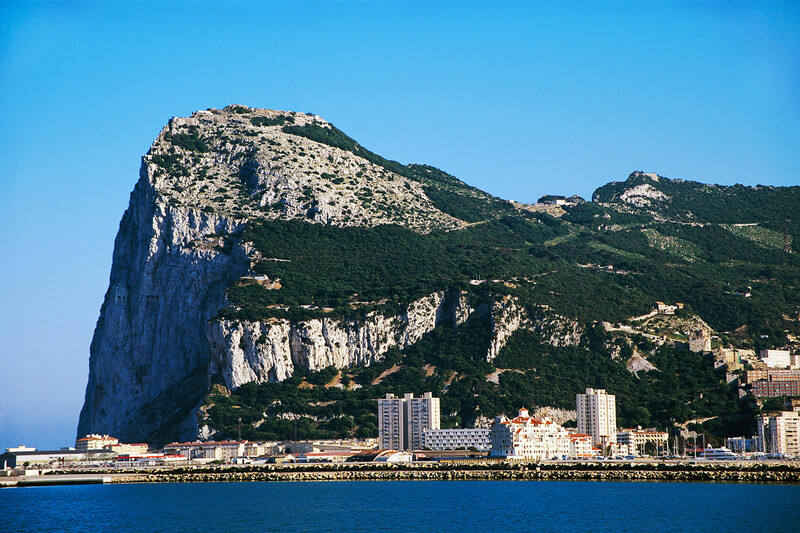 We have some pretty damn good Gibraltarian dishes and recipes that have been past along for generations, I do make a mean Rosto. 3. We're basically all an extended family, not all biologically but you're never short of a helping hand when needed and come together as one big community. In fact, we are one of the most generous donors to charitable causes as a nation per capita in the world. 4. We save tons of money on babysitter's and transport because your grandmother, sister, cousin or in-laws are bound to live 5 minutes from you. 5. We know how to party - National Day, Calentita Night, The Colour Festival and the Gibraltar Music Festival are just some of the events that bring us together. 6. Nothing's ever more than a stone throw away and you can be sunbathing in up to 5 beaches in under 20 minutes. 7. We're multicultural AF and live in peace amongst Christian, Jewish, Hindu and Muslim residents. 8. We provide plenty of jobs for non-gibraltarians and plenty of english peeps migrate to "Britain in the Sun". 9. We do not rely on any handouts from the UK. We are economically self-sufficient. 10. You have every different type of cuisine at your doorstep - meaning you can head out for a Chicken Korma at 10pm if you fancy it without having to call the delivery man. 11. You don't need a gym membership because we have the Rock of Gibraltar (Med Steps) you can use instead - and the view is better. 12. You can pop into a different country for lunch for some tapas or if you're up for it you can catch a quick ferry over to Africa for some authentic Tagine in Morocco. 13. You can get drunk and smoke a pack of cigarettes for less than a tenner - and we're talking Smirnoff, if you want to die and go with Glenn's you can do that for a fiver. 14. Our Miss Gibraltar was voted the most beautiful woman in the world in 2009, so basically we're all pretty damn smokin'. 15. We have a lot of free activities in the summer - outdoor cinemas, floating fun things in the sea, summer nights of live music and entertainment, all in 25 degrees! 16. We can insult people in "llanito" which generally means google translate won't help you. 17. We pay taxes to fund our public services - one of the reasons why we can afford to send students abroad on grants, not student loans to spend on iPhones and nights out. 18. We're given paid government jobs in the summer months between University relating to our degree course in order to further our career prospects. Which means working 10pm-2pm in a fun environments with your friends and then spending the rest of your day at the beach. 19. We can switch between 3 languages in one conversation - English, Spanish and Llanito. I always get asked what language my brain thinks in, and that is always English. 20. We live amongst barbary apes, although they occasionally steal your sausage rolls. 21. 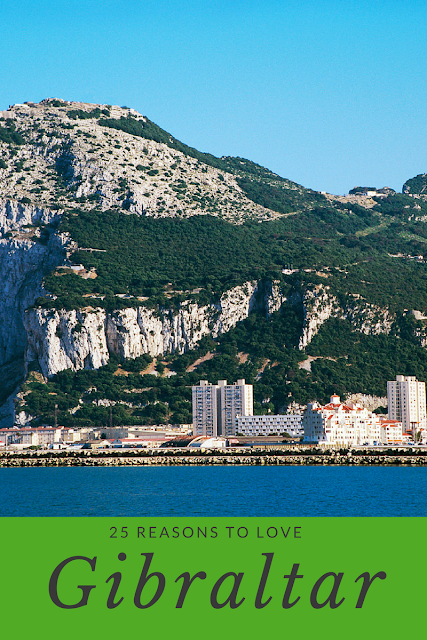 When travelling, we're usually the only Gibraltarian you have met or will meet in your life. 22. We are proud to be British and show it. 23. You can visit the whole country in a day, which means you can tick it off your bucket list whilst visiting neighbouring countries. 24. We got the luxury of enjoying Disney Channel, Cartoon Network AND Nickelodeon when we were kids, (and a novela if you fancied it) without paying a TV licence. 25. We're underrated, but provide some great spots for your Instagram pages.